The Model BY0106 features prefinished white wood grain texture flush inserts in a raised six-panel design, encased in a slimline frame in bright white. These steel sliding bypass doors are constructed of hardboard and operate as a top roll system featuring Easy-Hang hardware, Quick-Click Anti-Jump Bottom Connectors & Invisi-Track System. The Model BY0106 features prefinished white wood grain texture flush inserts in a raised six-panel design, encased in a slimline frame in bright white. 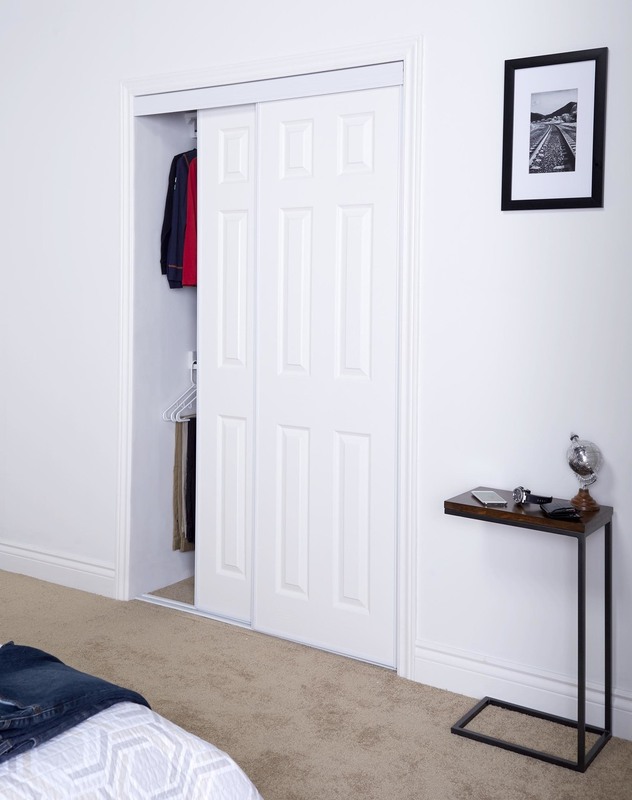 These steel sliding bypass doors are constructed	… of hardboard and operate as a top roll system featuring Easy-Hang hardware, Quick-Click Anti-Jump Bottom Connectors & Invisi-Track System.